These verses are a companion to the series of lessons on the "I AM" statements of Christ. The first lesson in the series is "Jesus is the Light of the World)" (Ref.2). The Messiah - John 4:25-26 - "The woman said to Him, 'I know that Messiah is coming (He who is called Christ); when that One comes, He will declare all things to us.' Jesus said to her, 'I who speak to you am He.' "
The Bread of Life - John 6:35 - "Jesus said to them, 'I am the bread of life; he who comes to Me will not hunger, and he who believes in Me will never thirst.' "
The Bread of Life - John 6:48 - "I am the bread of life." Living Bread - John 6:51 - "I am the living bread that came down out of heaven; if anyone eats of this bread, he will live forever; and the bread also which I will give for the life of the world is My flesh." From Above - John 8:23 - "And He was saying to them, 'You are from below, I am from above; you are of this world, I am not of this world.' "
The Eternal One - John 8:58 - "Jesus said to them, 'Truly, truly, I say to you, before Abraham was born, I am.' 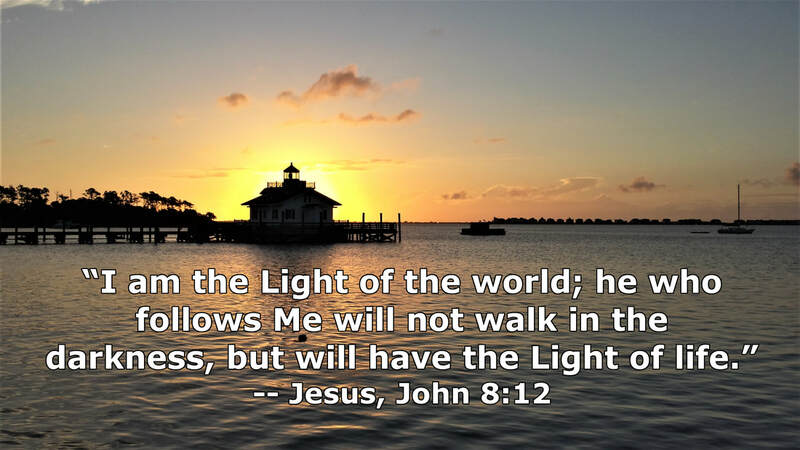 "
Light of the World - John 8:12 - "Then Jesus again spoke to them, saying, 'I am the Light of the world; he who follows Me will not walk in the darkness, but will have the Light of life.' "
Light of the World - John 9:5 - "While I am in the world, I am the Light of the world." The Door - John 10:7 - "So Jesus said to them again, 'Truly, truly, I say to you, I am the door of the sheep.' 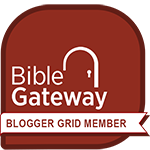 "
The Door - John 10:9 - "I am the door; if anyone enters through Me, he will be saved, and will go in and out and find pasture." The Good Shepherd - John 10:11 - "I am the good shepherd; the good shepherd lays down His life for the sheep." The Good Shepherd - John 10:14 - "I am the good shepherd, and I know My own and My own know Me." The Son of God - John 10:35-36 - "If he called them gods, to whom the word of God came (and the Scripture cannot be broken), do you say of Him, whom the Father sanctified and sent into the world, 'You are blaspheming,' because I said, 'I am the Son of God?' "
The Resurrection and the Life - John 11:25 - "Jesus said to her, “I am the resurrection and the life; he who believes in Me will live even if he dies." Teacher and Lord - John 13:13 - "You call Me Teacher and Lord; and you are right, for so I am." The Way, the Truth, and the Life - John 14:6 - "Jesus said to him, 'I am the way, and the truth, and the life; no one comes to the Father but through Me.' "
The True Vine - John 15:1 - "I am the true vine, and My Father is the vinedresser." The Vine - John 15:5 - "I am the vine, you are the branches; he who abides in Me and I in him, he bears much fruit, for apart from Me you can do nothing." The Alpha and Omega - Revelation 1:8 - " 'I am the Alpha and the Omega,' says the Lord God, 'who is and who was and who is to come, the Almighty.' "
The First and Last - Revelation 1:17 - "When I saw Him, I fell at His feet like a dead man. And He placed His right hand on me, saying, 'Do not be afraid; I am the first and the last.' "
The Alpha and Omega, first and last, beginning and end - Revelation 22:13 - "I am the Alpha and the Omega, the first and the last, the beginning and the end."